Not sure where to begin your digital marketing efforts? The BizNexus digital marketing snapshot report can help. 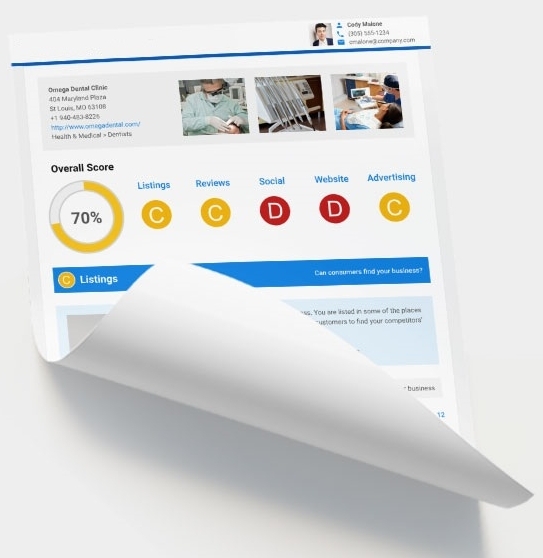 We rank your real-time, current business performance in Online Directory Listings, Reviews, Social Media, Website Optimization and Advertising categories and and compare all of that to competitor benchmarks in your industry. The snapshot and consultation are free. We give you the road-map, what you choose to do with it is entirely up to you. We analyze your Snapshot Report and take a needs-based approach to your free consultation.